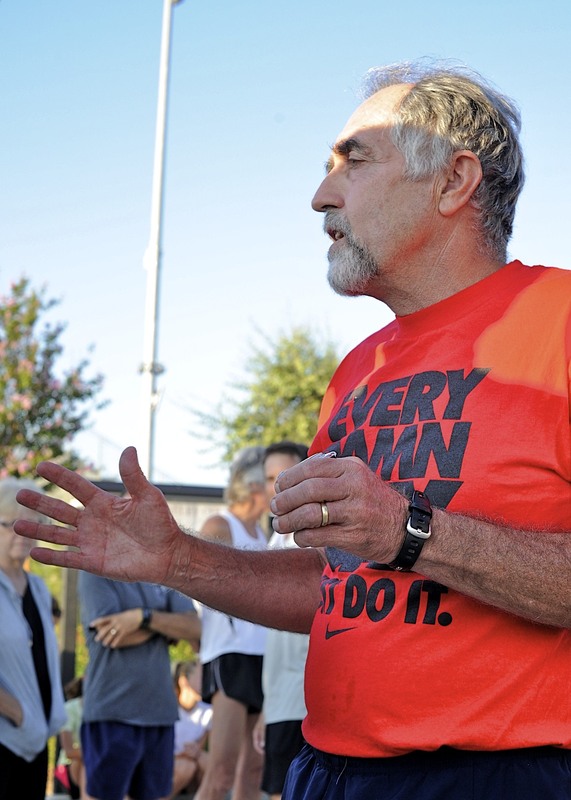 On the day the streak ended, Mark Covert wore an orange t-shirt that said, “Every damn day just do it.” Covert had lived that mantra long before Nike made the words an international catch phrase. Covert, 62, the running coach for Antelope Valley College in California, voluntarily ended his running streak on July 23. Runner’s World magazine reported that it was the longest running streak on record in the United States. Covert ran at least one mile for 16,436 consecutive days, or 45 years. The streak began on July 23, 1968, shortly after Covert graduated from Burbank High School. He logged 149,652 miles during the streak, an average of about nine miles a day. His longest run was 52 miles. The streak could have–or should have–ended on several occasions. Obstacles included a broken foot, arthroscopic knee surgery and kidney stones. Perhaps unwisely Covert kept running. Now he has stopped. He has no regrets. “This has to come to an end and I’m fine with that,” Covert told the Antelope Valley Press. In 1972 Covert finished seventh in the marathon at the U.S. Olympic Trials. He was inducted into the Nike Hall of Fame in 1992. Covert’s attitude can be applied to writing. Keep at it, as my author friend Jim Minick likes to say. You don’t have to write every single day for 45 years; just maintain a steady pace. That steady pace over the long haul will enable you to achieve your writing goals. If you stick with it, you will surprise yourself, and others.